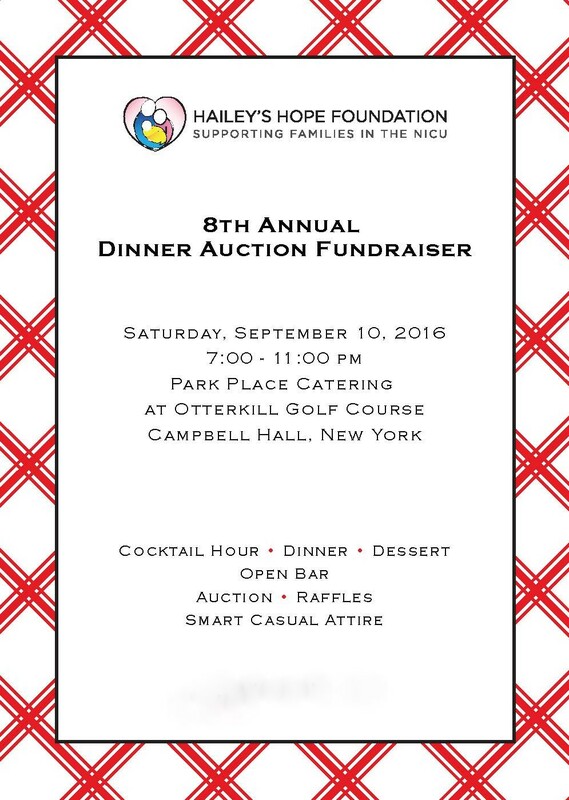 Don’t miss Hailey’s Hope Foundation’s 8th Annual Dinner Fundraiser–a fun night to benefit families and babies in the NICU. Enjoy a fun-filled evening with cocktails, dinner, raffles, and more. Hailey’s Hope Foundation, P.O. Box 32, Goshen, New York 10924. 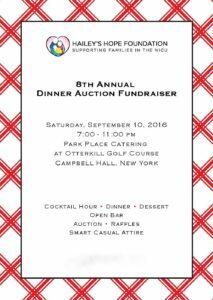 For more information, please contact Debra Randazzo at (914) 584-8833 or drandazzo@haileyshopefoundation.org. Tickets are $100. Advance registration only. Tickets will be held at the door. Hailey’s Hope Foundation is a 501(c)(3) nonprofit organization dedicated to supporting the needs of NICU families and helping improve the long-term health outcomes of NICU babies.